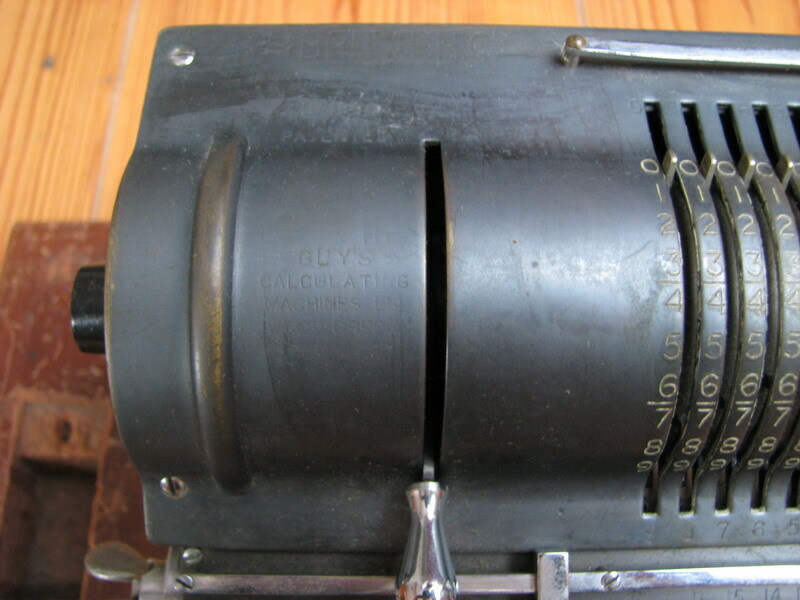 First machine in the collection by Guy's calculating machines. 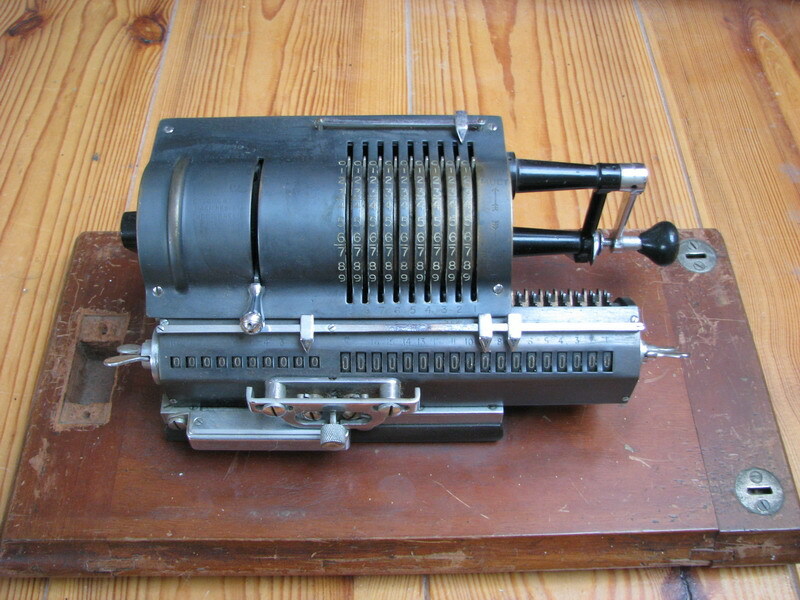 A relative newcomer to the mechanical calculator scene, they were the first British manufacturer to get involved with pinwheel calculators. 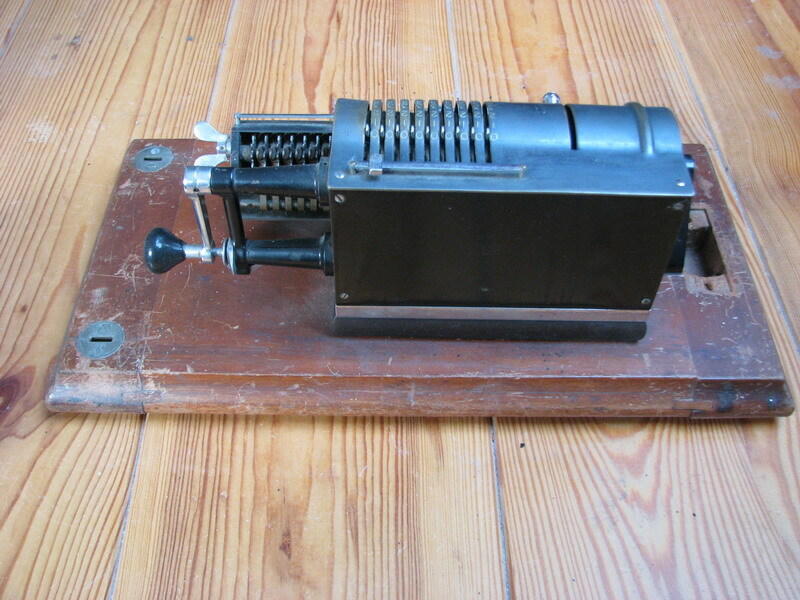 The machines were very well made, relatively small, and had a number of very nice features, such as the built-in clearing of the input register by lever and a special carriage shift mechanism. 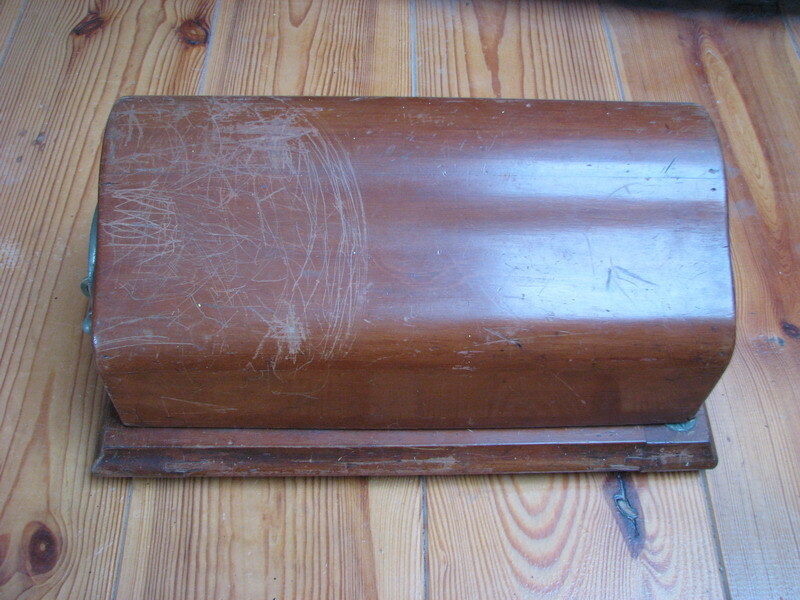 This is a very early model, which appears to have been robbed of its paint through the use of an abrasive, which made the lettering hard to read. All of it is there though, the "Britannic" logo with the trident, the serial number, 1890, and the Guy's calculating machines, Wood Green, London N22 text. 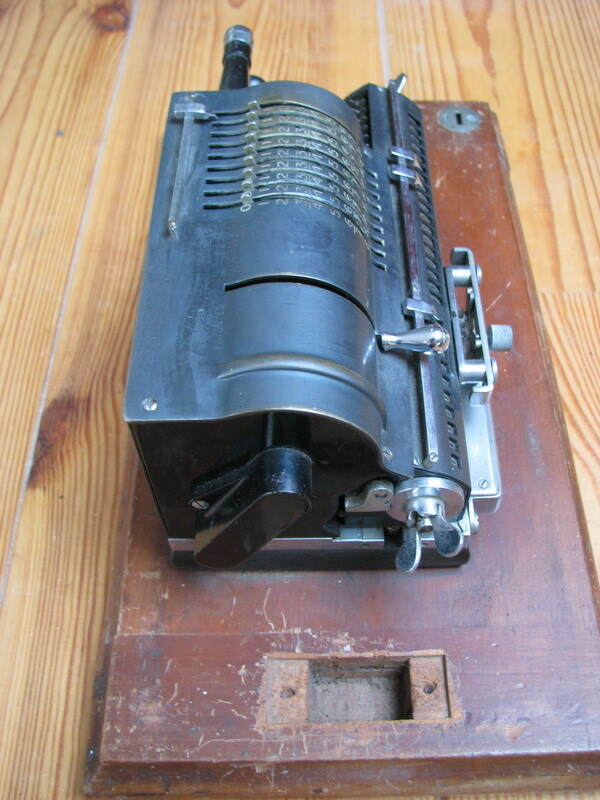 The address for Guy's calculating machines was 12 Truro Road, Wood Green. The building appears to be still standing, you can find a picture here. I have been in two minds about repainting the machine black with white and red lettering, as it would have been originally. For now I have left it as it is. 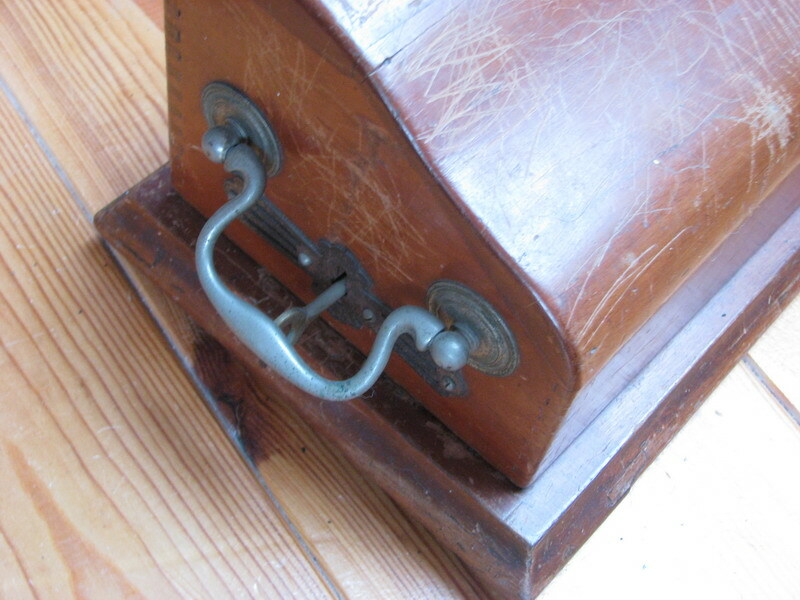 The machine has its wood box and key, but someone took out the lock plate from the baseboard. The hinges, handle and lock plate are all very nicely made items of good quality, if somewhat outdated by the time the machines came on the market. 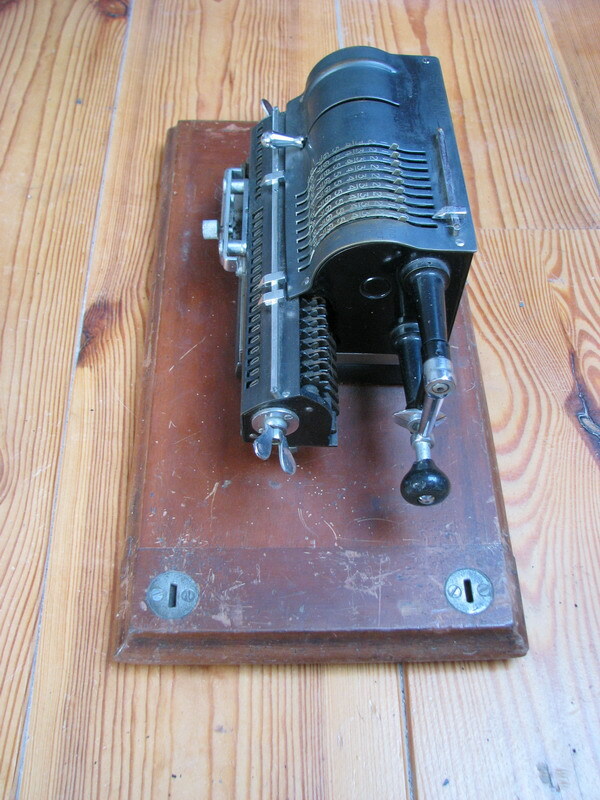 This machine is in very good condition, and the fittings may even have been rechromed. They appear to be chrome instead of nickel, which is certainly not original. If they tarnish in a couple of years, we'll know for sure. 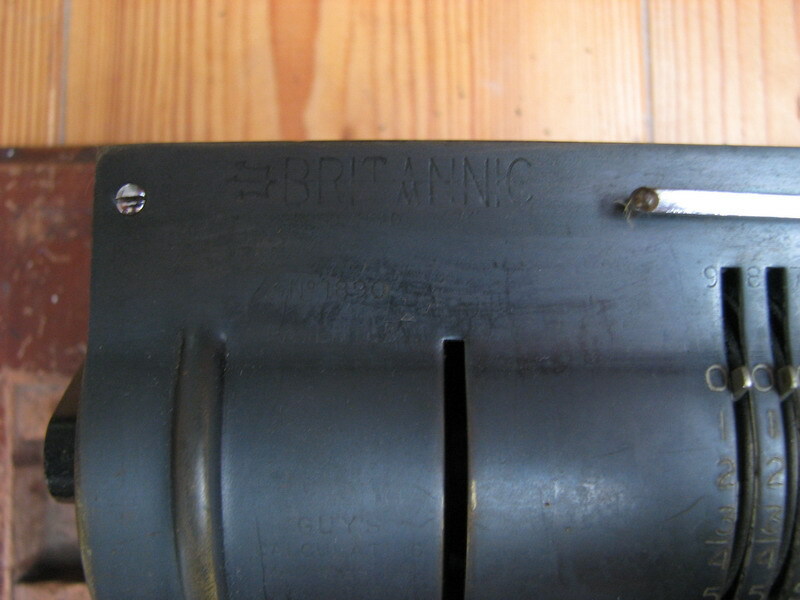 I had another, later Britannic 1B with serial number in the 5000 range, and the machine, apart from the paint and the use of cranks instead of thumbscrews for clearing the carriage, was completely identical, so I kept the older one. The very distinctly shaped crank handles appear to be a weak point of these machines - of the three Britannics I have, of two the crank handle has broken on the thin inside end, which does not, however, influence the functionality of the machine. 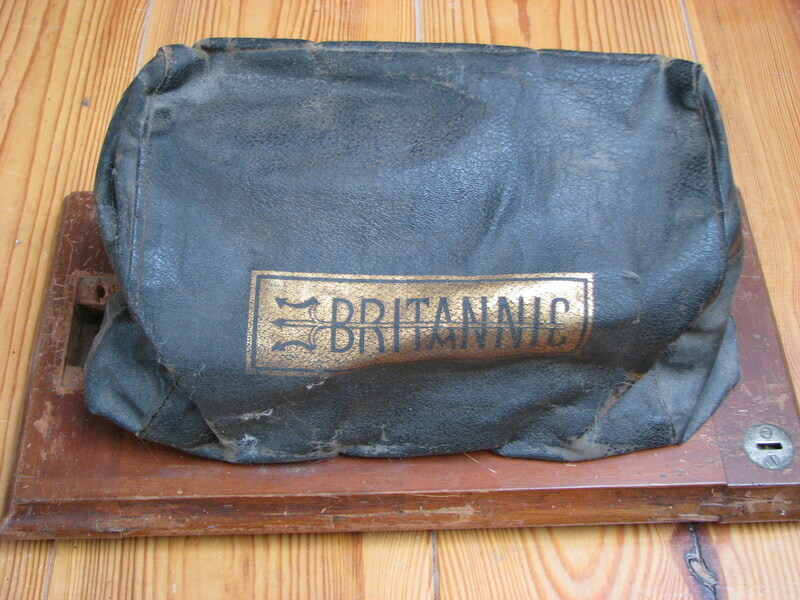 another interesting tidbit is that the machine came witha faux-leather cover witht he Britannic logo in gold. I have not see one of those before.